Today’s plan is to activate Bobbara Mountain on 2m and 70cm SSB using a FT-857D at 45 watts on 2m and 15 watts on 70cm. I hope to work Bernard VK3AV and Ron VK3AFW both regular SOTA chasers on HF and VHF bands. Woke at 5 am and left home at 05:45 am for a 1 hour, 20 minute drive to Bobbara Mountain Road. 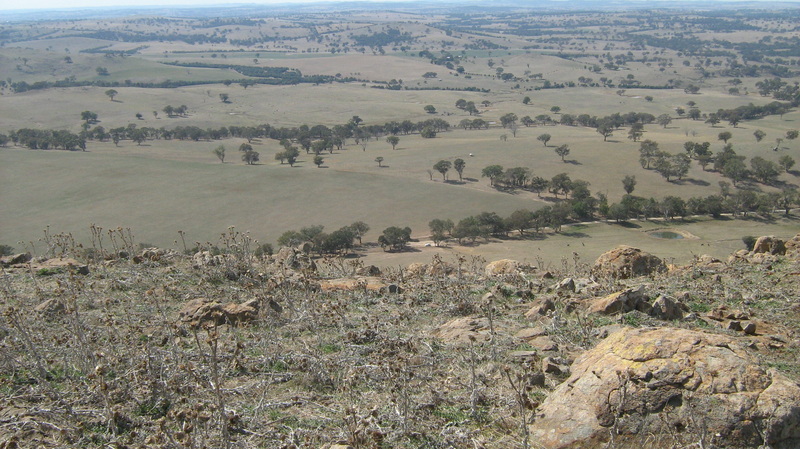 Possible SOTA Summit to Summit (S2S) contacts include Al VK1RX with plans to activate Mt Budawang 160 km north-east of Canberra, Ian VK1DI planning to activate Mt Rob Roy in Canberra’s south and Mitch VK3XDM planning an activation of Mt Macedon north of Melbourne. 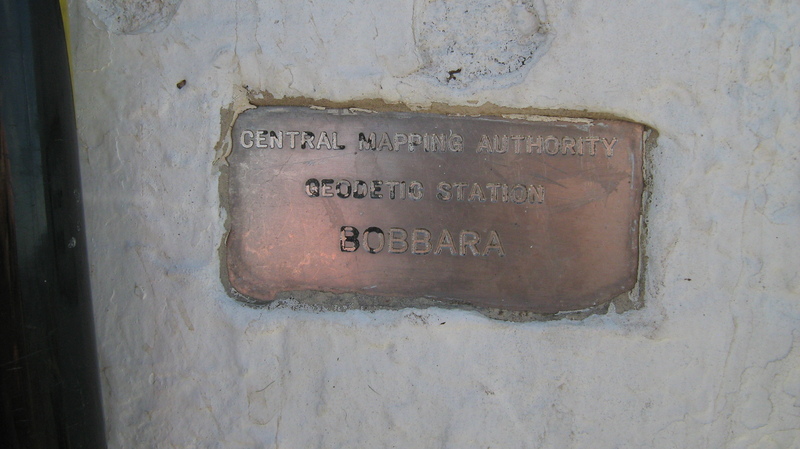 For directions to this summit see my post SOTA Bobbara Mountain 20 September 2014 The ascent to the summit is 158 metres over 1.1 km (0.6 mile) taking 25 minutes. On the summit VK1AD SOTA shack next to Bobbara Mountain Trig. 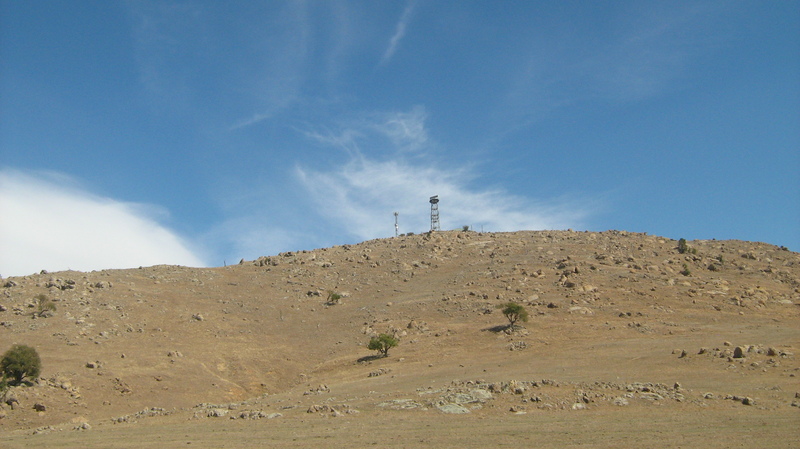 Bobbara Mountain summit is a harsh environment with no shade and the ground is covered with a blanket of thistle weeds. a new piece of kit, during the week I purchased a Diamond VHF/UHF duplexer. 🙂 Picture taken just after working Ron VK3AFW on 2m 144.200 MHz. Ron is located in Melbourne 483 km south-west at 231 degrees. Started the activation as planned at 2200 UTC (8 am local) calling ‘CQ Canberra’ on 144.2 MHz. Ian VK1BG was first respond with a strong signal on 2m. Ian offered a contact on 432.160 for my first 70cm contact over 76 km (47 miles). Next in the VHF Dx calling group was Col VK2BCC at 190 km followed by Chris VK2DO also at 190 km. After a successful 2m contact with Chris we moved to 70cm to complete a valid signal report exchange over 190 km (118 miles), a new SOTA 70cm distance record for me. My PB for a 70cm contact was with Dimitris VK2COW during a recent SOTA activation of Mt Perisher. Speaking of Dimitris, Dimitris called in for the third 70cm contact over 67 km followed by Matt VK1MA in Canberra northern suburbs and Andrew VK2UH over 58 km near Yass. It worked, signals went from unreadable to 5-1 where Al’s signal was now above the local noise floor. Thanks Al for persisting with the 70cm contact. We now have a 70cm S2S record completed over 160 km. 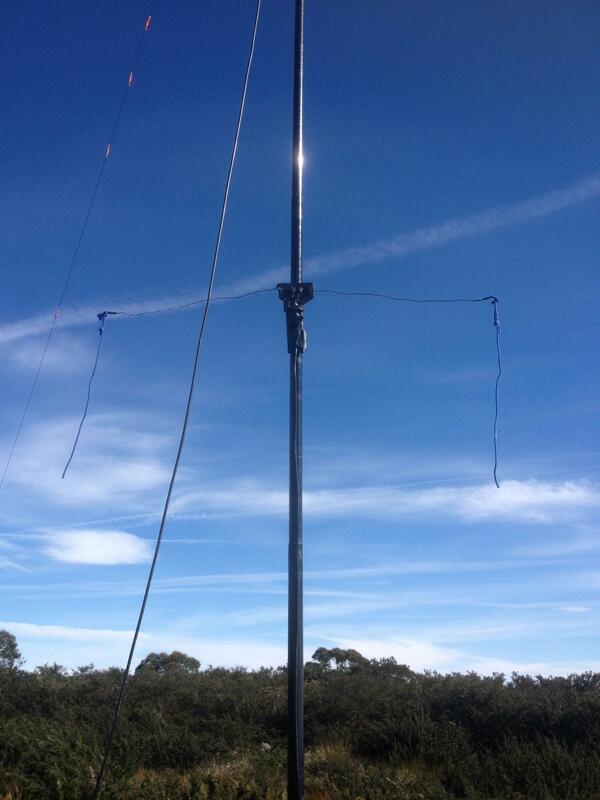 Check out the photo supplied by Al of his 70cm ground plane mounted on the squid pole in the horizontal position. A lesson learned, horizontal polarisation is king for successful signal report exchanges involving VHF/UHF weak signals in the terrestrial-landscape. On 2m 144 MHz, I achieved my goal of working SOTA chasers Bernard over 438 km and Ron at 483 km in Melbourne’s southern suburbs. Today’s 2m long distant contact was with Michael VK3KH over 507 km (315 miles) to Mount Eliza, signal reports were 5-5 and 5-1. Plenty of noteable 2m VHF Dxers in the log including Col VK2BCC, Greg VK1AI, Gordon VK3EJ, David VK2AUU, Russ VK2BJP and John VK2YW. Missing from today’s activity was Rob VK1KW, I can’t work out why I missed Rob? 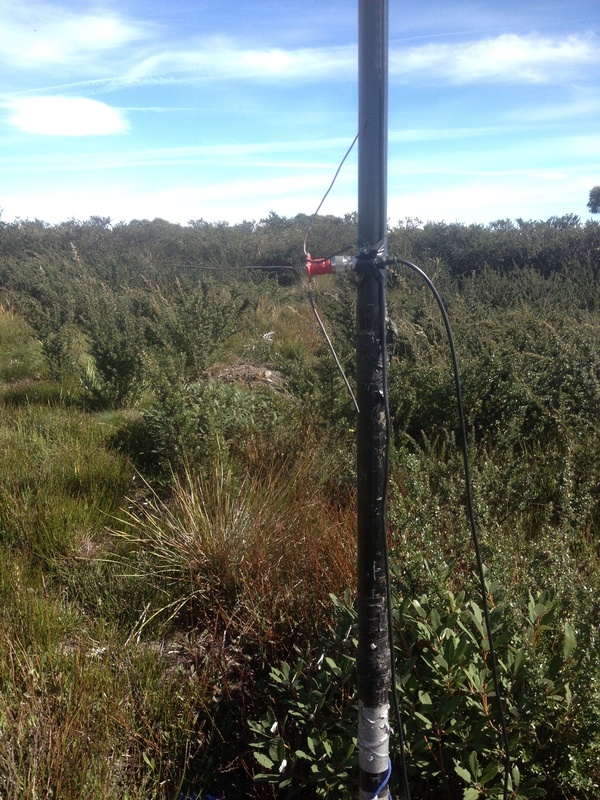 The next two photos are from Al VK1RX showing his 2m and 70cm antennas set up at Mt Buddawang 158 km (98 miles) north-east of Bobbara Mountain! After wrapping up the VHF Dx session I raised the HF linked dipole antenna for operations on 40, 20 and 30m. 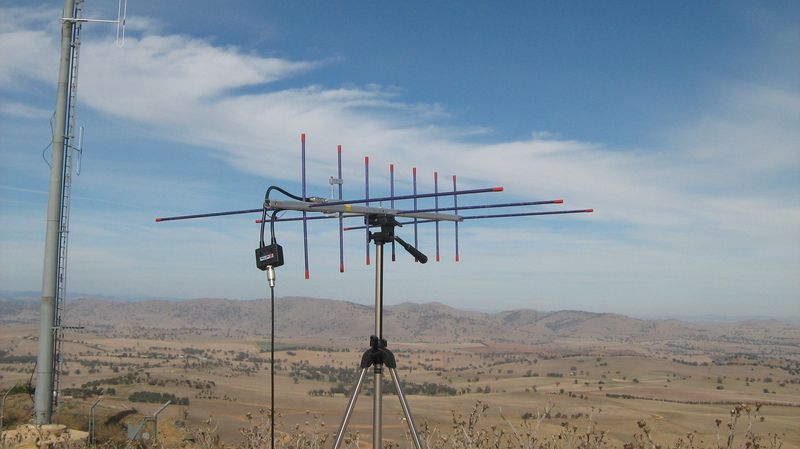 27 chasers on 40m, including summit to summit contacts with Al VK1RX/2, Mitch VK3XDM/P, Ian VK1DI/P and Phil VK2HPN/1 activating Isaacs Ridge also in Canberra’s south. Today I set a new PB 432 MHz distance record which now stands at 190 km from a contact with Chris VK2DO. My 144 MHz record stands at 560 km, a contact made with Ian VK3AXH on Monday 28 March 2106 from Mt Mundoonen. 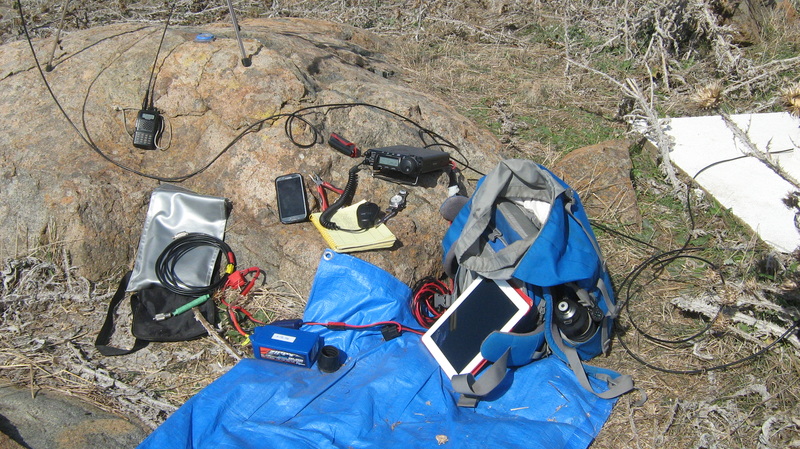 My 432 MHz summit to summit record is shared with Al VK1RX at 158 km between Bobbara Mountain and Mt Budawang. 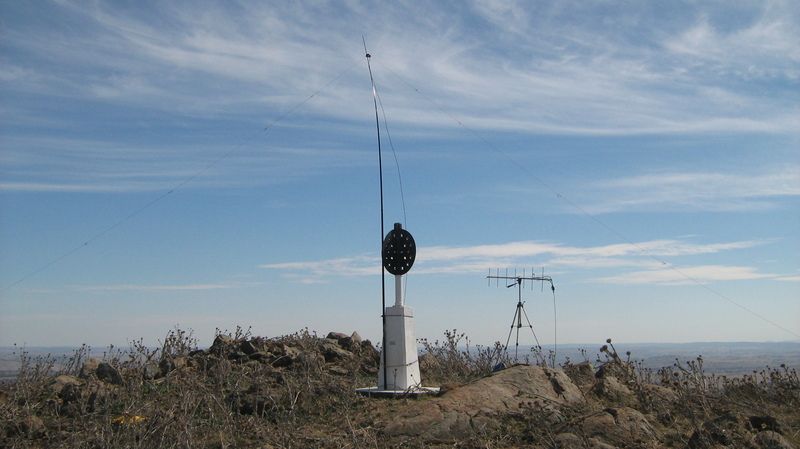 My 144 MHz summit to summit record is shared with Allen VK3ARH at 495 km between Mt Ginini and Mt Beckworth. Some good PB’s in there! I don’t think I’ve ever used SSB on 2m/70cm! I’d be interested to know how you go about finding the owners of the property to gain access?